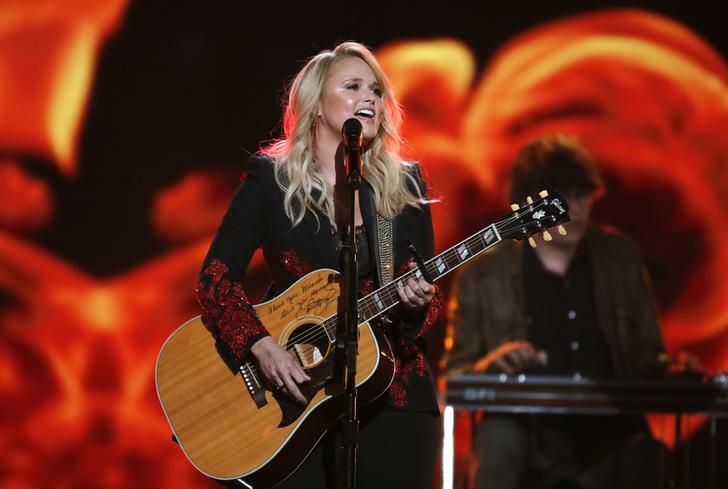 Washington D.C [U.S.A], Apr 6 (ANI): Singer-songwriter Miranda Lambert is back to treat her fans with a reboot of her 2010 tour. The recently announced ‘Roadside Bars & Pink Guitars’ tour will be launched on September 13 in Uncasville, Connecticut. The singer shared the dates of the tour in her latest Twitter post. “The #RoadsideBarsandPinkGuitars Tour is back! I’m so excited and honoured to be on a tour with some of my favourite artists who each inspire me in a different way. Fan club presales begin April 9. 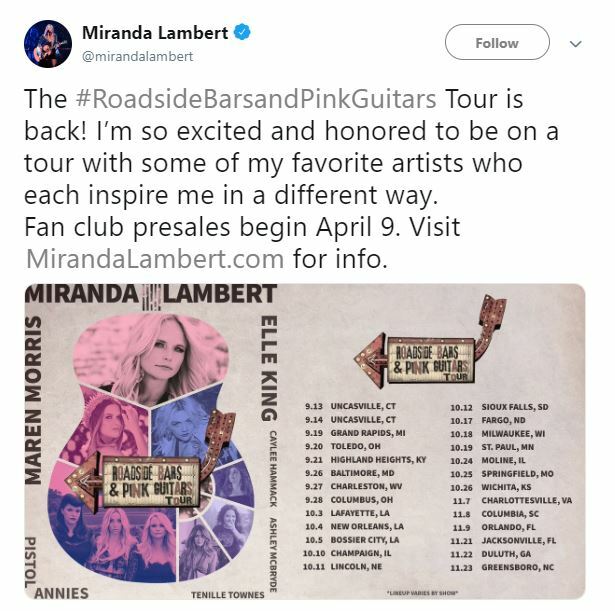 Visit http://MirandaLambert.com for info,” she wrote alongside a poster of the tour. The event, to run on various dates, will also feature special guests including Maren Morris, Elle King, Pistol Annies, Tenille Townes, Ashley McBryde and Caylee Hammack. The intriguing post sent her followers into a frenzy over the possibility of announcing new music or a pregnancy. "What's coming new music or baby????? Got to know," one follower commented on the singer's Instagram post. "I can't decide if I'm more excited for a tour, new music or a baby," another one wrote. Lambert’s last solo album was ‘The Weight of These Wings’ in 2016, though she also released Interstate Gospel with her band ‘Pistol Annies’ in November. Meanwhile, her most recent tour, called ‘Livin’ Like Hippies’, wrapped in June, last year. She is all set to hit the stage on Sunday at the 54th Academy of Country Music Awards, reported People. Lambert will perform a flashback mashup of her greatest hits, and will also sing with George Strait as part of the ‘ACM Flashbacks’ series, which honours classic country music hits. She’s nominated for both Female Artist of the Year and Music Event of the Year, for her feature on Jason Aldean’s ‘Drowns the Whiskey’.